Utah Olympic Park in Park City is offering some savings for an Unlimited Day of Activities. We'll keep this post updated through the summer to help you save on this super fun Park City attraction. Here's the discounts currently available. Please leave a comment if you find any others. Plus, through 9/25, save an extra 20% off with code HARVEST at checkout! Note: you can use discount code up to 3 times per account, but you must do it in three separate transactions. Deal #2 - The price of the Salt Lake Connect Pass varies depending if you buy a Child, Adult or Senior pass. 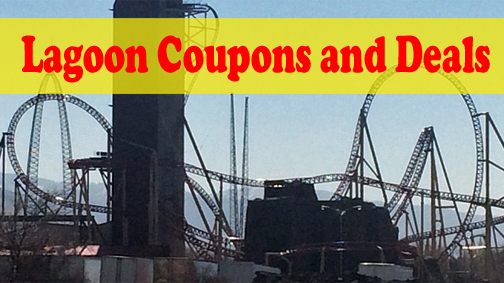 A discounted pass that is valid for one year can be purchased at Groupon.com for as low as $72.50. Note that the Olympic Park Connect pass is NOT a Gold Pass, option is ONLY valid for choice of one: Adventure Course activity—alpine obstacle courses featuring traverses, swinging, and problem-solving—OR one Guided Park Tour. Activities included with the Gold pass are: unlimited rides on Extreme Zip, Extreme Tubing, Freestyle Zip, Alpine Slide, Discovery Course, Canyon Course, Summit Course, Drop Tower, Scenic Chairlifts, and GPS Adventure. Extreme Summer Tubing. Gain speeds up to 50 mph and enjoy the thrill of soaring just like an Olympic Nordic ski jumper. 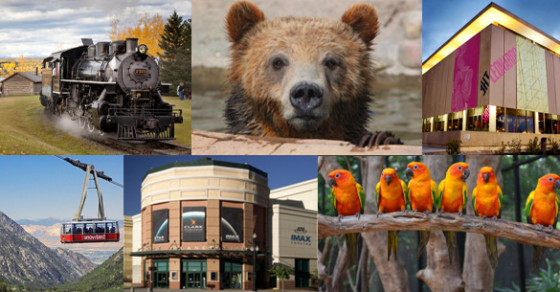 Deal #4 - Receive one FREE Summer Gold Pass with the purchase of two Summer Gold Passes at regular price. 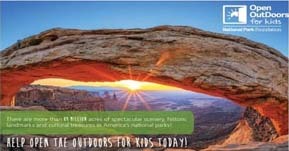 To get this discount you must first pick up the special voucher by visiting the tourism gurus at the Park City Visitor Center located in Kimball Junction, 1794 Olympic Parkway, Park City UT 84098. Available starting June 1st and while supplies last. Deal #5 - Receive $10 off the Summer Comet Bobsled when you enter the Promo Code online. Code is listed on rack cards that can be found in Certified stands throughout Park City and Salt Lake City. FREE: For those that are a little less on the extreme side, a pass is not needed to roam around the entire park. And, you'll want to visit the three-story Joe Quinney Winter Sports Center, home to Alf Engen Ski Museum and Eccles Salt Lake 2002 Olympic Winter Games Museum. The interactive museums are fun to browse and those that remember the Games in Utah should especially enjoy the memories. Take your own food. Taking your own cooler is one of the easiest ways to save when visiting, there are several shaded tables where you can enjoy a lunch or snacks. As I write this (7/20/2015), this HIGHLY reviewed Igloo 60 Quart Roller Cooler is reduced in price to $24.99 via Walmart.com. And, it's available for same day free in-store pick-up at most stores. If you're the kind of person that finds yourself at watery summer fun spots, you might consider grabbing the Waterproof Case, 2 Pack Ace Teah Clear Transparent Universal Waterproof Case for iPhone 6S Plus 5S, Samsung Galaxy S6, Note 5 Nexus 6p 5x - Black, White I've found mine to be useful on various trips to the waterpark as well as on a recent cruise. It also has a handy clip to keep it from getting lost. Summer Season Adult Gold Pass $75 Includes unlimited day rides on all activities except Comet Bobsled, Zipline Tour, and guided tours. 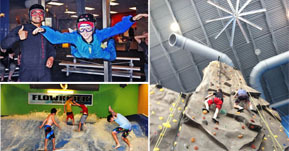 Summer Season Youth Gold Pass $50 For ages 12 + under, Includes unlimited day rides on all activities except Comet Bobsled, Zipline Tour, and guided tours. The Utah Olympic Park has earned TripAdvisor's Certificate of Excellence for consistently great reviews from travelers. Zipline to a drop tower, tube down an extreme slide, or vanquish adventure courses at an outdoor playscape Gold passes grant access for one day of unlimited activities in the park, not including the bobsled, and guided tours. Park staffers provide all necessary safety equipment, such as helmets and harnesses, but age and weight restrictions apply. This coupon says it's good through June 30th but on Groupon's site it states July 1st is when it starts. Can we get this coupon for the June 30th date? I'm sorry, I don't see the June 30th date you're referring to? You'll want to go by what is stated on the Groupon. You can't buy the one that expires June 30th on Groupon any longer. They do have good deals for passes starting July 1. If you find that you can buy the other one, let me know! Is this deal available? When will it become available? It says deal not available yet when I click on the link. It's still available. Just click on the buy now button and options will pop up.